Living in a college dorm room is an exciting time. You get to meet new friends and come up with some great dorm room decorating ideas. When you're in college, you're also going to be there for part of the holiday season and you will want your college dorm room to feel like a home away from home. When your friends come over to visit you, you also want to impress them with your dorm room decor. The holidays are no exception. 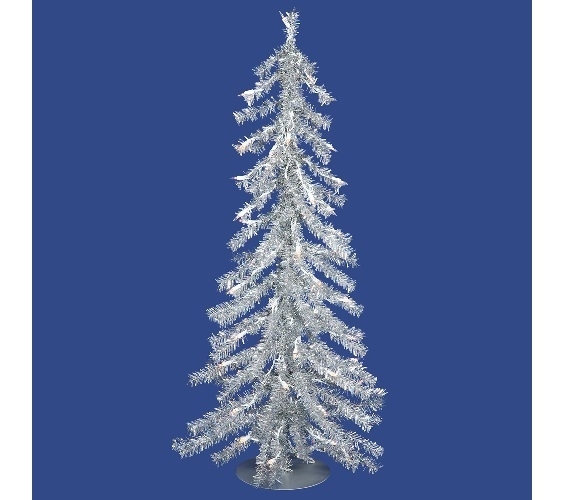 When you're dorm room decorating for the holidays, start with our Silver Tree with Clear Mini Lights. Our Silver Tree with Mini Lights has silver branches and trunk that will make your dorm Christmas tree stand out. Silver is a traditional Christmas color but it isn't typically seen right on the branches of a college Christmas tree. That makes this dorm necessities item one of a kind for your college dorm room decorations. Placed on the branches of this college supplies item are clear mini dorm lights. That means one of your holiday decorations for your dorm Christmas tree is already taken care of, saving you time while dorm room decorating!